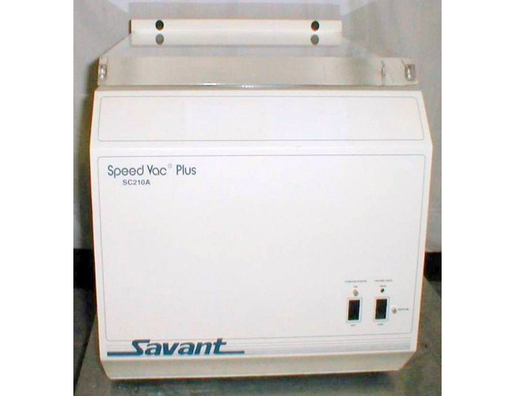 We offer an assortment of used and refurbished SpeedVac Systems including SpeedVac Concentrators, Refrigerated Vapor Traps and Vacuum Pumps. Some of our popular manufacturers include Savant and Labconco. Genevac designed the EZ-2plus with the specific requirements of lead optimization in mind. Years of experience in solvent evaporation and sample purification allow Genevac to produce a high-efficiency sample concentrator that is high performance, easy to use, very reliable and compatible with almost all commonly used solvents and acids. 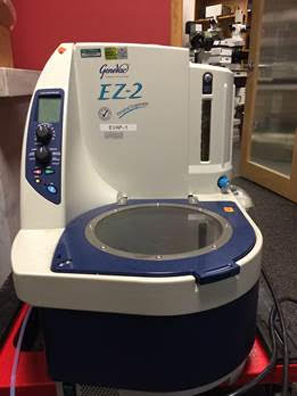 The EZ-2 Series is the culmination of an extensive research and development program that draws on the expertise of Genevac’s engineers and the experiences of many scientists in the laboratory. Using the most advanced proven technology in evaporation science, the EZ-2 Series has been designed specifically for solvent removal in life science research, be that concentration of samples or complete drying. Genevac’s fifteen years of experience in vacuum engineering has resulted in the creation of a compact sample concentrator combining great performance, ease of use greater than a rotary evaporator and compatibility with all commonly used solvents and acids. With a dedicated range of QIAsymphony Kits, the QIAsymphony AS/SP enables sample preparation of DNA, RNA, and bacterial and viral nucleic acids from a wide range of starting materials. 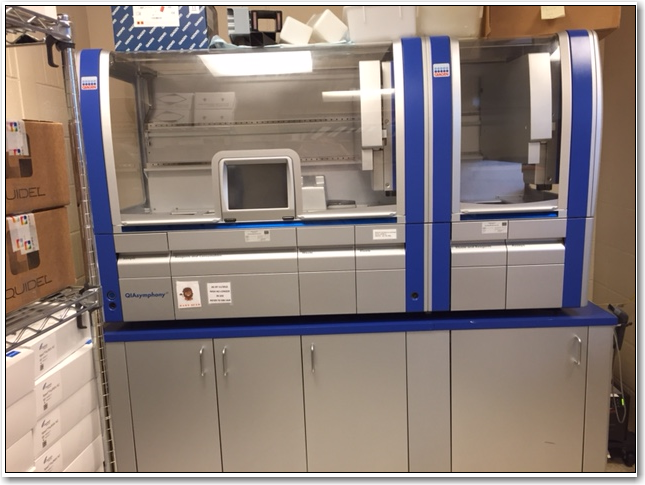 The QIAsymphony AS extends the capabilities of the QIAsymphony SP by integrating automated PCR assay setup, which, in combination with the Rotor-Gene Q and QIAGEN real-time and end-point PCR kits, enables you to optimize your PCR workflow and maximize your efficiency. 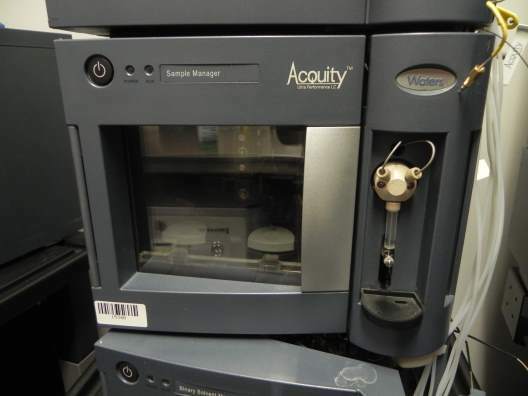 The ACQUITY UPLC Sample Organizer increases the level of automation and sample processing throughput of the ACQUITY UPLC System. It extends the capacity of the system by more than tenfold for samples in standard ANSI-compliant 96 or 384 well plates; or more than threefold for samples in conventional 2 mL vials. Compact, fully integrated systems designed specifically for DNA and RNA applications. The DNA-series SpeedVac vacuum concentrators deliver rapid and efficient concentration and drying of DNA/RNA samples, nucleic acids, PCR preps and synthetic oligos. These easy-to-use, quiet integrated systems are designed to accommodate microcentrifuge tubes or shallow-well microplates. Compact, fully integrated systems designed specifically for DNA and RNA applications. Trap hazardous vapors to prevent pump damage, contamination, and degradation of vacuum pump oil. The Thermo Savant RVT400 is a refrigerated cold trap which works in tandem with a SpeedVac concentrator to trap various solvent vapors, preventing them from degrading the integrity of the vacuum pump oil. The Thermo RVT400 comes with CFC and HCFC free refrigerants and run on a high stage compressors bring the chamber down to -50°C. Cold Trap includes a glass flask and rubber flask cap. The refrigerated vapor trap has a maximum capacity of 4 liters and plugs directly into a standard 115V outlet. 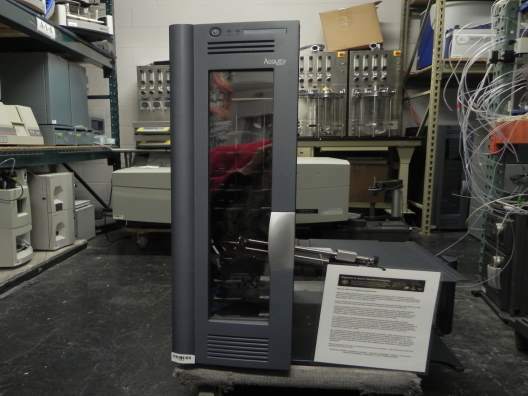 Contact us today to learn more about our Thermo Savant RVT400 Refrigerated Vapor Trap. Used in the evaporation of solvents using a combination of centrifugal force, heat and vacuum. Multiple samples can be processed without cross-contamination. 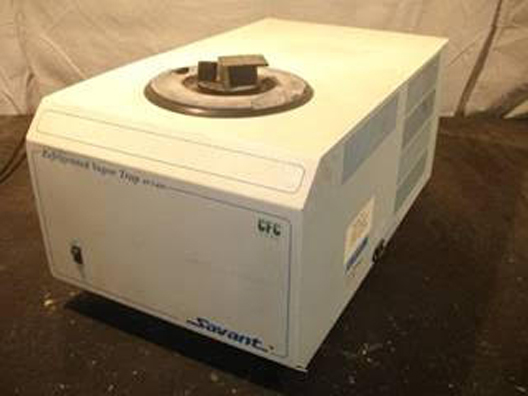 Optimize evaporation with Thermo Scientific Savant SpeedVac High Capacity Concentrators. With three selectable heating levels, these concentrators are ideal for aqueous and organic solvents.